ALYN has been at the forefront of innovative rehabilitation care for over 80 years – including both hi and low tech assistive technologies – for children and youth with congenital and acquired conditions. A recognized global leader in the field, ALYN staff advises and consults to hospitals around the world. ALYNnovation is a new concept in Assistive Technologies development. 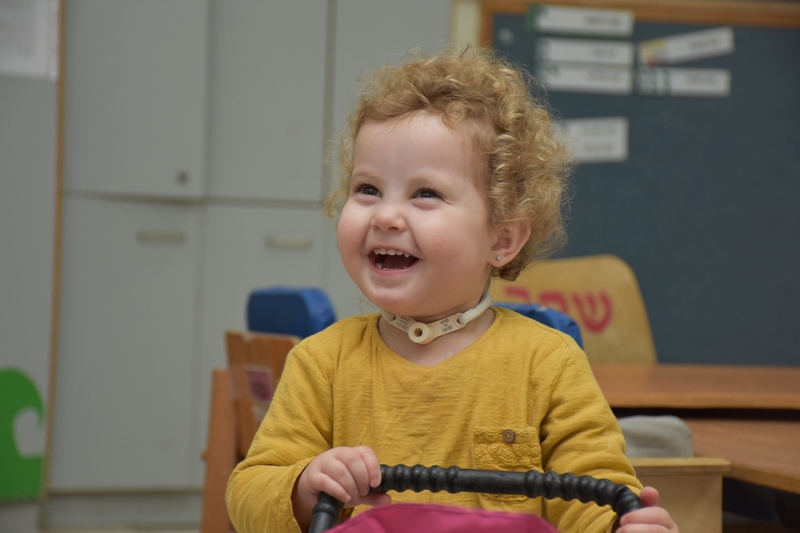 Located in ALYN Hospital's brand new, state of the art Innovation Space, ALYNnovation works with entrepreneurs and rehabilitation specialists to identify and develop innovation that has potential to empower children with special needs around the world, increasing their independence and participation in society. ALYNnovation will then commercialize and bring these products to market, leveraging its powerful global network. ALYNnovation is seeking donors to join us in a smart donation model, where revenue from the commercialization of ALYNnovation products will return to the hospital to fund its activity. The smart donation model creates an evergreen cycle of financial income, stemming from the initial donation.